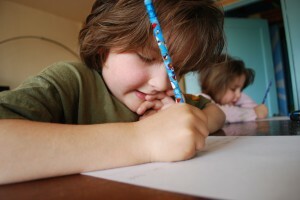 Homeschooling is growing at a record rate in North Carolina, according to reports. Over 10,000 more students are being homeschooled than just two years ago, with enrollment figures surpassing that of private schools. The News & Observer reports that the North Carolina Division of Non-Public Education estimates that there are 98,172 homeschooled students in North Carolina, compared to 95,768 students enrolled in private schools. While the majority of students attend public school—1.5 million—there is still a marked departure from the system, as there were just 2,300 homeschooled students in the state 25 years ago. “We are seeing a lot of people homeschooling their children, but also pulling them out of school because they are concerned about the environment they are in,” parent Beth Wegert added to WECT, noting that she spends just $300 a year on curriculum as opposed to thousands on tuition. Others also state that some are also choosing to homeschool because of concerns about Common Core. The Common Core scientific standards have also drawn criticism for their treatment of topics such as evolution and global warming. Some lawmakers accused the curriculum of promoting speculative theories instead of demonstrable fact. Home School Legal Defense Association (HSLDA), a Christian advocacy organization committed to protecting homeschooling freedoms, warns that the Common Core standards are not at all based on Christian values. “Because society has taken one direction doesn’t mean it’s the only direction,” said parent Merrielle Buckner. To homeschool in North Carolina, one must have at least a high school diploma. After providing notice to the state on religious or other grounds, the parent is required to maintain a regular teaching schedule, give nationally standardized tests each year and keep records of attendance and immunizations.